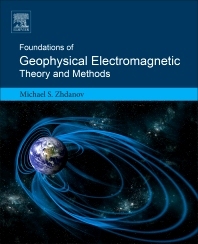 Foundations of Geophysical Electromagnetic Theory and Methods, Second Edition, builds on the strength of the first edition to offer a systematic exposition of geophysical electromagnetic theory and methods. This new edition highlights progress made over the last decade, with a special focus on recent advances in marine and airborne electromagnetic methods. Also included are recent case histories on practical applications in tectonic studies, mineral exploration, environmental studies and off-shore hydrocarbon exploration. The book is ideal for geoscientists working in all areas of geophysics, including exploration geophysics and applied physics, as well as graduate students and researchers working in the field of electromagnetic theory and methods. 2. Foundations of Field Theory. 2.1 Field Generation. 2.2 Stationary Field Equations and Methods of their Solutions. 2.3 Scalar and Vector Potentials Of the Stationary Field. 2.4 Nonstationary Fields and Differential Forms. 3. Electromagnetic Field Equations. 3.1 Maxwell’s Equations and Boundary Conditions. 3.2 Time-Harmonic Electromagnetic Field. 3.3 Electromagnetic Energy and Poynting’s Theorem. 3.4 Electromagnetic Green’s Tensors. 3.5 Reciprocity Relations..
5. Electromagnetic Fields in Horizontally Stratified Media. 5.1 Plane Wave Propagation in a Layered Earth. 5.2 Spectral Method of Computing EM Fields in Horizontally Stratified Media. 5.3 Electromagnetic Field of an Arbitrary System of Magnetospheric Currents in a Horizontally Homogeneous Medium. 5.4 Electromagnetic Fields Generated in Layered Earth by Electric and Magnetic Dipole Transmitters. 6. Electromagnetic Fields in Inhomogeneous Media. 6.1 Integral Equation Method. 6.2 Integral Equation Method in Models with Inhomogeneous Background Conductivity. 6.3 Family of Linear and Nonlinear Integral Approximations of the Electromagnetic Field. 6.4 Differential Equation Methods. 7. Principles of Ill-posed Inverse Problem Solution. 7.1 ILL-Posed Inverse Problems. 7.2 Foundations of Regularization Theory. 7.3 Regularization Parameter and Methods of Its Selection. 8. Electromagnetic Inversion. 8.1 Linear Inversions. 8.2 Nonlinear Inversion methods. 8.2 Quasi-Linear Inversions. 9. Electromagnetic Migration. 9.1 Electromagnetic Migration in the Time Domain. 9.2 Analytic Continuation and Migration in the (k, ω) Domain. 9.3 Finite Difference Migration. 9.4 Visualization of Geoelectric Structures by Use of Migration in the Frequency and Time Domains. 9.5 Migration Versus Inversion. 10. Electromagnetic Properties of Rocks and Minerals. 10.1 Properties and Units. 10.2 Properties in a Parametric Sense. 10.3 Effective Conductivity of Heterogeneous Multiphase Rocks. 10.4 Properties in an Existential Sense. 10.5 Properties of Large-Scale Geoelectric Structures. 11. Generation and Measurement of Electromagnetic Fields in Geophysical Applications. 11.1 Field Generation. 11.2 Measurement of Electric and Magnetic Fields. 11.3 Preprocessing of the Data. 12. Direct Current and Induced Polarization Methods. 12.1 Vertical Electric Sounding and Apparent Resistivity. 12.2 Induced Polarization (IP) Methods. 12.3 Physical Models of the IP Phenomenon. 12.4 Generalized Effective-Medium Theory of Induced Polarization (GEMTIP). 12.5 Nonlinear Regularized Inversion of IP Data Based on the Cole-Cole Model. 12.6 3D Inversion of IP Data Based on the GEMTIP Model. 13. Magnetotelluric and Magnetovariational Methods. 13.1 Earth EM Field of External Origin. 13.2 The Tikhonov-Cagniard Model of the MT Field. 13.3 Theory of the MT and MV Transfer Functions. 13.4 Magnetotelluric Fields in Horizontally Inhomogeneous Media. 13.5 Magnetotelluric and Magnetovariational Surveys. 13.6 Processing and Analysis of MT and MV Data. 13.7 One-Dimensional Interpretation of MT Data. 13.8 Interpretation of MVP and GDS Data. 13.9 Rapid Three-Dimensional Magnetotelluric Inversion Based on Linear and Quasi-Linear Approximations. 13.10 Rigorous 3-D Magnetotelluric Inversion. 14. Electromagnetic Methods in the Frequency and Time Domains. 14.1 Electromagnetic Sounding in the Frequency and Time Domains. 14.2 Interpretation of Controlled-Source Time Domain EM Data Using the Thin-Sheet Approach. 14.3 Electromagnetic Profile and Array Surveys. 15. Marine Electromagnetic Methods. 15.1 Marine Magnetotelluric Method. 15.2 Marine Controlled-Source Electromagnetic Methods. 15.3 Marine Towed Streamer EM Method. 16. Airborne Electromagnetic Methods. 16.1 Frequency domain airborne surveys. 16.2Time domain airborne surveys. 16.3 Natural EM field airborne surveys. 17. Case histories. 17.1 Tectonic studies – EarthScope - Yellowstone. 17.2 Minerals exploration – Africa, Australia, Canada. 17.3 Environmental studies – Australia, Canada. 17.4 Hydrocarbon exploration – on-shore – off-shore (North Sea, Barents Sea). A. Algebra of Differential Forms. A.1 Differential Forms in Three-Dimensional Space. A.3 Differential Forms in Multidimensional Spaces. C. Linear Operators and Their Matrices. E. Definition of Fields and Units. Michael S. Zhdanov is Professor of Geophysics in the Department of Geology and Geophysics at the University of Utah in Salt Lake City. Dr. Zhdanov is also Director of the Center of Electromagnetic Research at the same university. He has more than 30 years of experience in research and instruction in geophysical electromagnetic theory and he has authored more than 100 papers on the subject. He is the founding director of the Geoelectromagnetic Research Institute of the Russian Academy of Sciences and Member of the Russian Academy of Natural Science.